New Zealand native siblings Esther and Caleb Smith, now living in Nashville and performing under the name Embassy, are releasing a Christmas EP on November 30th titled 'Emmanuel'. After spending half a decade touring as core members of the Esther Melody Band, Esther and Caleb responded to God calling them to the nations, won Greencards in a lottery, relocated to Nashville, TN with their parents, started Megamorphic Church in the basement of their house, and took hold of God leading them to focus on Praise & Worship music. Embassy is the result. Combining their love for EDM, rock, hip-hop, grunge and pop, the brother/sister duo set to work creating a catalogue of tunes that would both be a catalyst for generating unity with purpose in the body of Christ, and bring a fresh perspective on the sonic possibilities of Christian music. 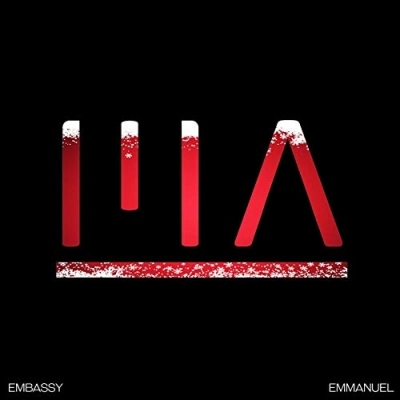 Embassy released their latest single 'Rapt In You' in September and now deliver their 5 track Christmas EP 'Emmanuel'.